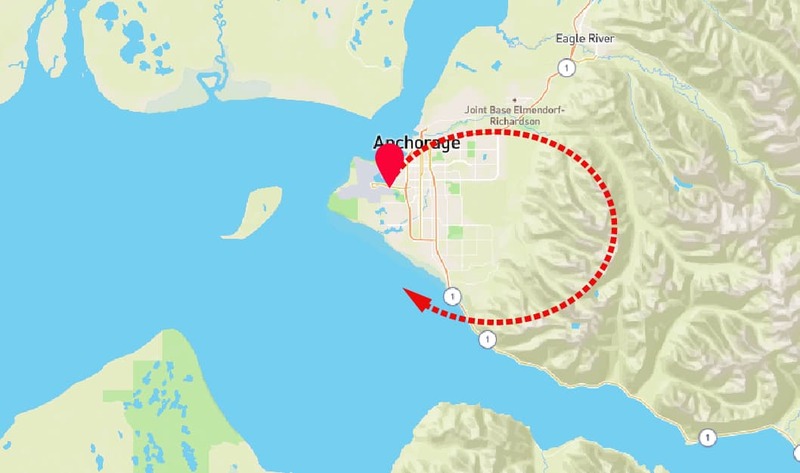 Watch for Beluga whales chasing the tide into Turnagain Arm. 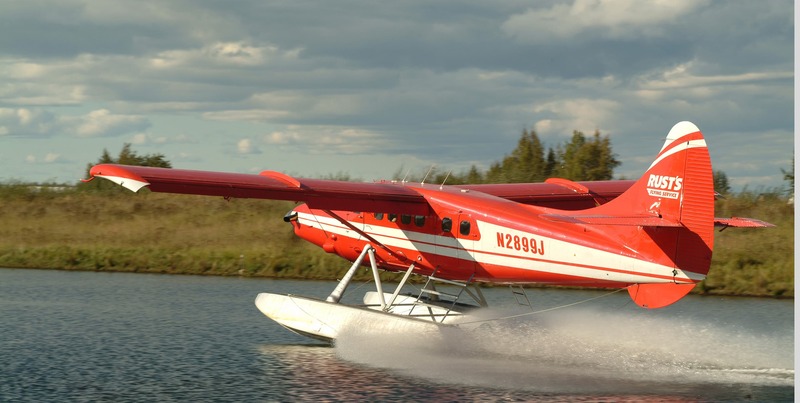 Hear fascinating Alaska facts relayed by an experienced and interesting Alaska bush pilot. 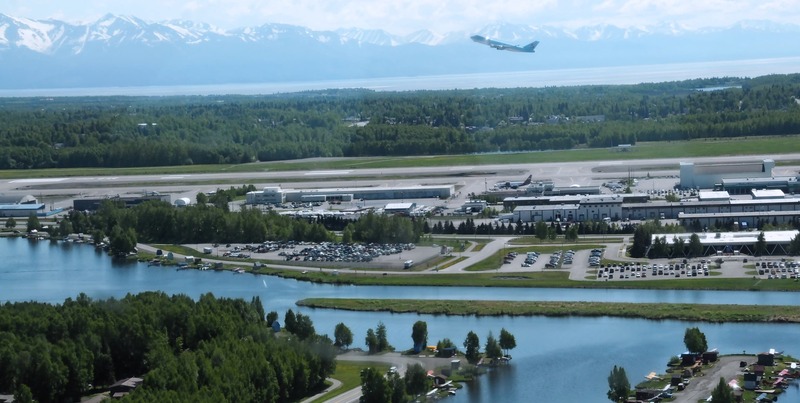 On this 1/2-hour Anchorage flightseeing tour, we explore Anchorage and the western front of the Chugach Mountains (A.K.A., Anchorage’s mammoth backyard). 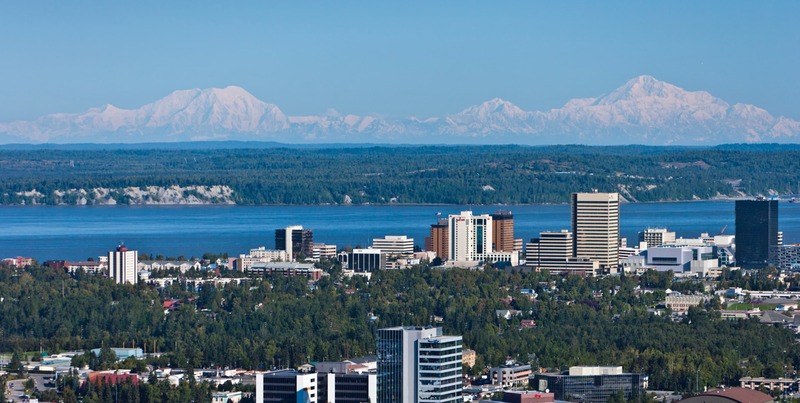 Get a unique perspective of Anchorage, nestled peacefully between the Chugach Mountains and Cook Inlet. 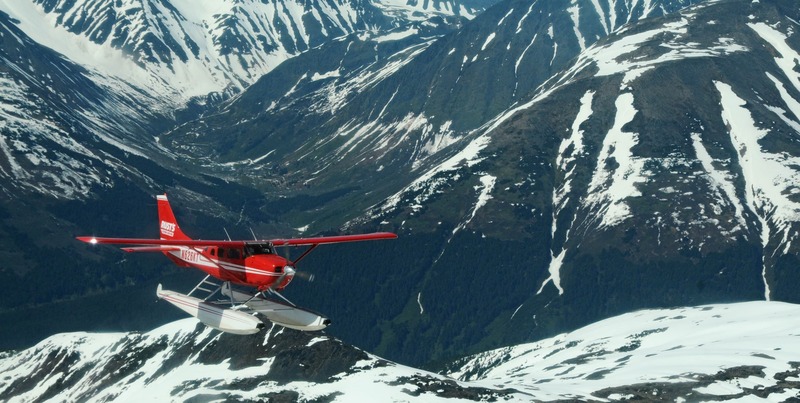 Take an Anchorage flightseeing safari and experience Anchorage and Alaska from above. Depending on the weather and mountain conditions, your pilot will choose the most scenic and interesting flightseeing option for you. One option is to soar above the Chugach Mountains, the dramatic backdrop to Anchorage, Alaska. 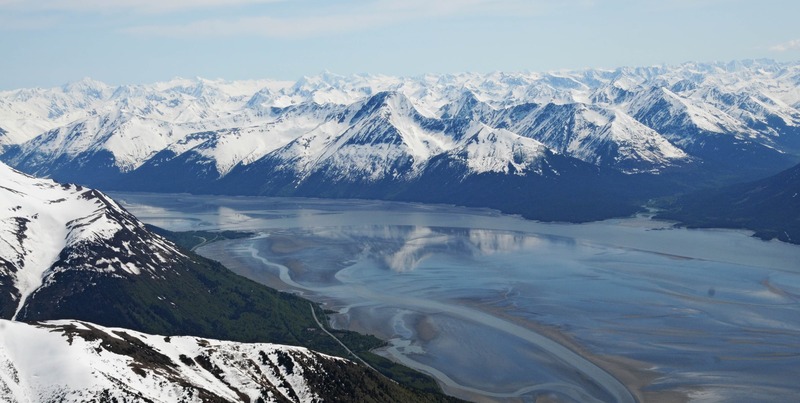 These stunning peaks rise abruptly from the shores of Turnagain Arm and Cook Inlet, extending 300 miles across thick hemlock-spruce forests and rugged Alaska mountains. 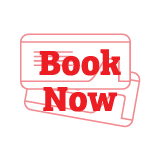 Another option is to explore Cook Inlet, Turnagain Arm or Knik Arm, spotting for Beluga whales or moose. 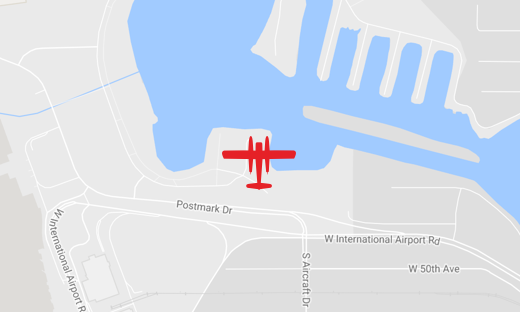 Rest assured, we’ll take you for a sea plane adventure which will show you a new view. Note: This is a summer-only float plane trip.